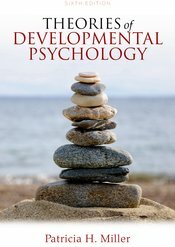 Theories of Developmental Psychology is the ideal book for anyone interested in an insightful, in-depth look at child development. With her engaging tone and exceptional scholarship, Patricia Miller illustrates what is exciting about each theory she presents and how it contributes to a broader understanding of developmental psychology. Revised to reflect the latest empirical and theoretical findings as well as our changing world Theories of Developmental Psychology 6th edition provides the most current and balanced presentation of developmental theory available today. · New coverage of biological approaches to development throughout the text and featured in an expanded Chapter 5, Biological Approaches: Ethology, Evolution, Neuroscience, and Genetics. · New section, Immigrant Families, exploring the process of development in the context of adapting to a new culture. · New section, Social Change, exploring how shifts in demographics, advances in information and communication technologies, and globalization effect development. · New sections, Mathematical Understanding, Developmental Cognitive Neuroscience, Embodied Cognition, Bayesian Computational Models and Developmental Robotics in the Chapter 6, Information Processing Theory, presenting the most up-to-date research and trends. · New coverage of theoretical approaches to atypical development, such as autism spectrum disorders, psychopathology, bullying, and altered stress regulation systems. · New focus on the "state-of-the-art" in developmental theorizing today in the newly titled Chapter 9, Theories Today: Themes and Perspectives, with new coverage of Theory of Mind research, Dynamic Systems theory, and all new section on Core Knowledge theories.